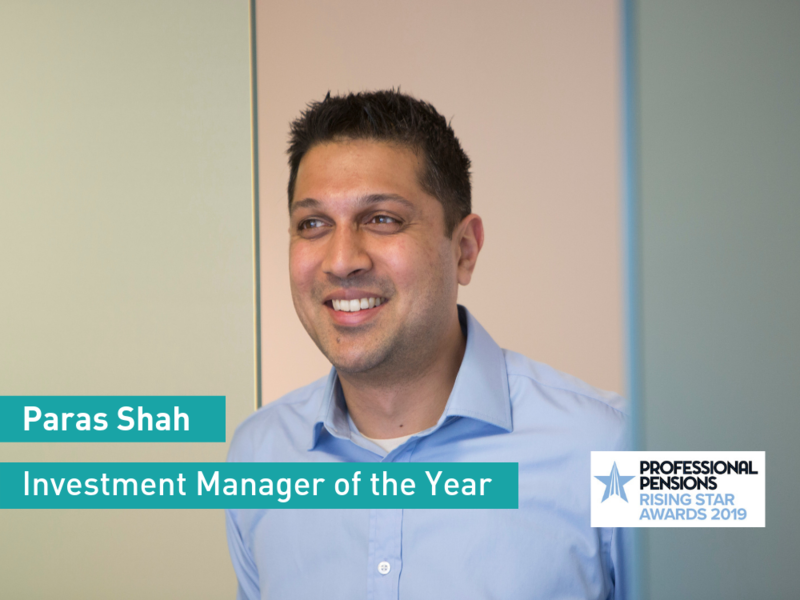 Huge congratulations last night to Paras Shah who won Investment Manager of the Year at Professional Pensions' Rising Stars Awards that were held in London yesterday evening. Paras is our Head of LDI. He is responsible for all aspects of client liability hedging programmes, including the construction and implementation of appropriate hedging strategies. Speaking about the win, Paras says "I am delighted to be awarded Investment Manager of the Year by Professional Pensions. It's a highly respected publication in the pensions industry and I'm pleased that the hard work of our Investment Team is recognised. We are committed to helping our clients meet their pensions promises to members through managing their liabilities and improving their funding ratios. We look forward to continuing this mission for clients in the future." Click here to see the full winners' list.